There was a period in my life when I considered going gluten free. All of that wheat! Inflaming my organs and intestines! Granted, this mindset lasted about a half day. Turns out, I don’t have celiac. Anyways, during my short stint in (thinking about) eliminating wheat from my diet, I learned about polenta. 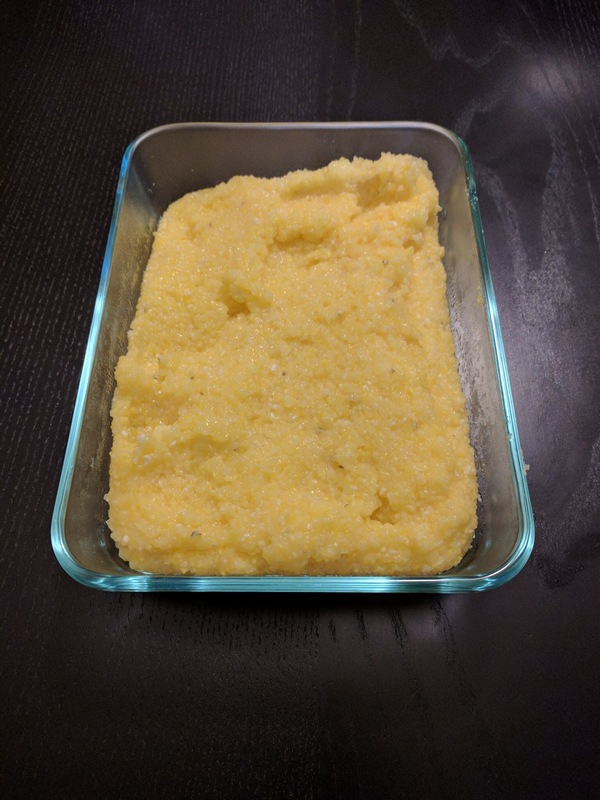 Polenta is cornmeal that you boil. Plain and simple. After boiling, you can either serve it like porridge or let it solidify. To solidify it, you just boil it according to the package and place in a glass container, cover, and let sit for about 20 minutes. 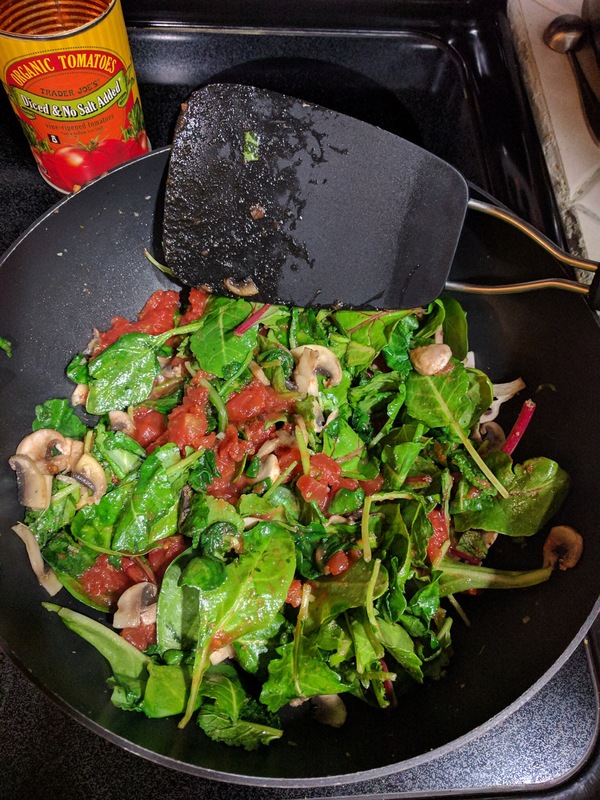 Once solidified, you can bake it, fry it, grill it or simply make an easy, yummy No Jar tomato sauce to pour over it and dig in. 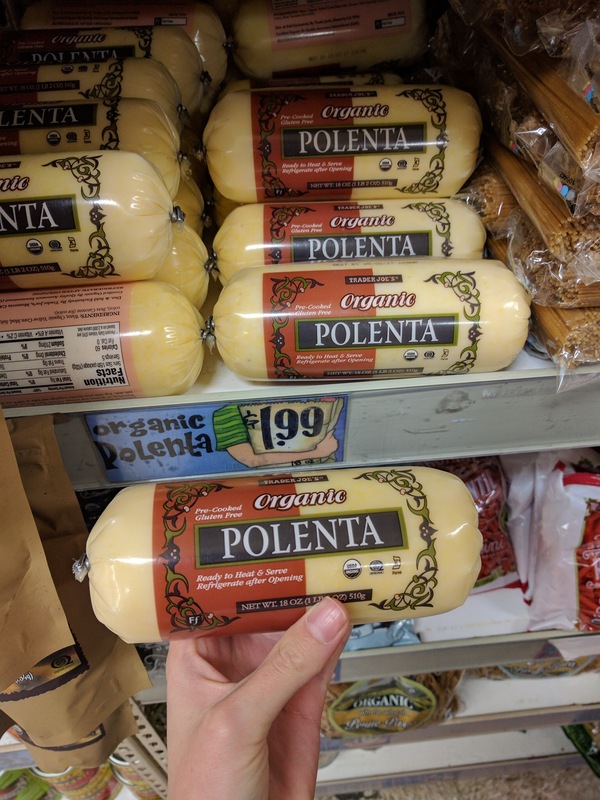 Note: You can buy polenta in two forms; already solidified or still in grain form. I’ve cooked with both. I prefer the grain form because I get more bang for my buck. However, the solidified version (packaged in a tube-like shape; pictured below) is nice to have on hand for a super quick dinner. Although polenta is versatile and cheap, it’s pretty bland. The real show-stopper here is the sauce. Don’t get me wrong, tomato sauce in a jar is totally a reasonable option if you want to save on time. 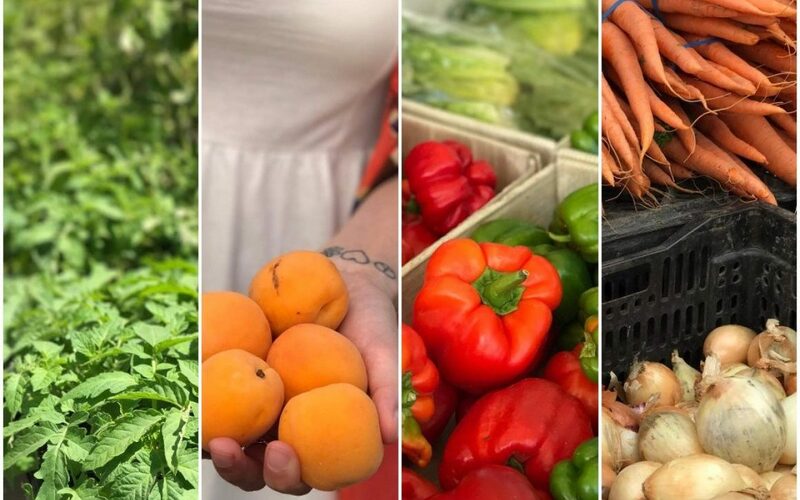 There are some great organic versions out there too! 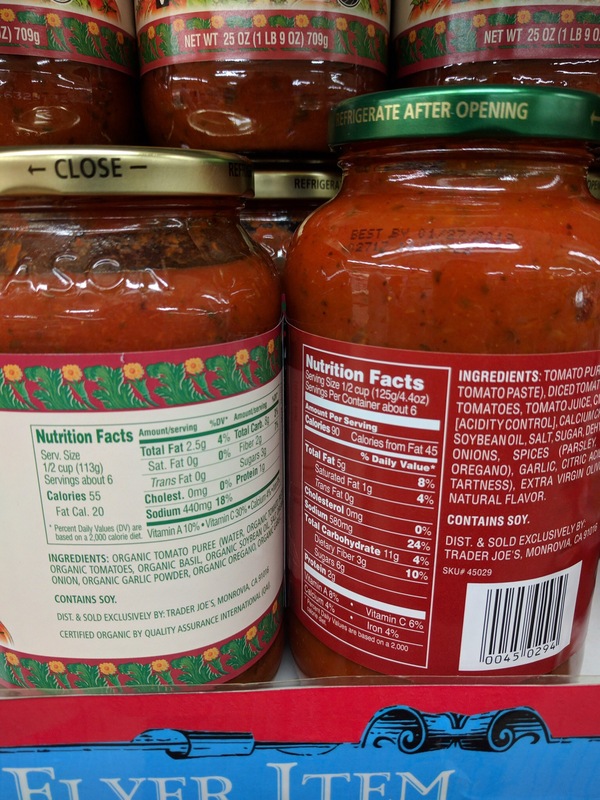 However, I find that most jarred tomato sauces are either made with soybean oil or have added sugar in them. The solution? 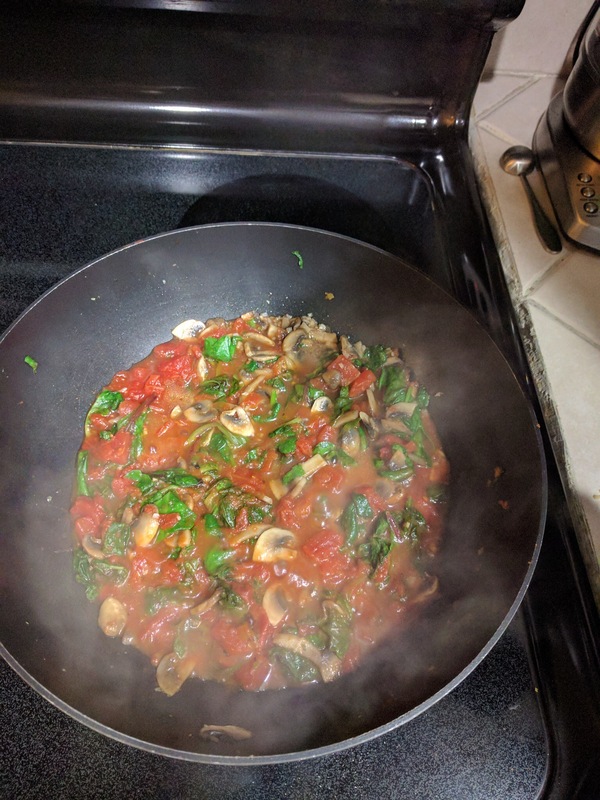 A super simple, 4-5 ingredient sauce (depending if you like mushrooms or not) that you can make while your polenta is solidifying. You can also pour this sauce of pasta or spaghetti squash. Spoon onto your favorite Italian carbohydrate (polenta, pasta, etc.) and enjoy!